a chance to see my new star print leggings from OASAP and "Indian"
T-shirt from YourOwnThing clothing in my recent "New In" post. Now you can see them matched in my yesterday's outfit. beauty itself and real, genuine music. Super kombinacija, baš mi se sviđa! preeedobar outfit, posebno mi se sviđa majica :) MRAK!! You are so pretty:) i want to visit in serbia! Love those pants and that bag is amazing! Beautiful outfit and blog! I am following you now and I hope you will check out my blog. Cool outfit! :) Love the bag and your leggings! OMG!!! love that pants! you look amazing!!! Lovely post and unique style. maybe follow each other, I would love to. Ma kako si samo slatka! Super fotke! HI Thank's for the comment !! ;) Hope u follow me !! Your leggings are so awesome!! 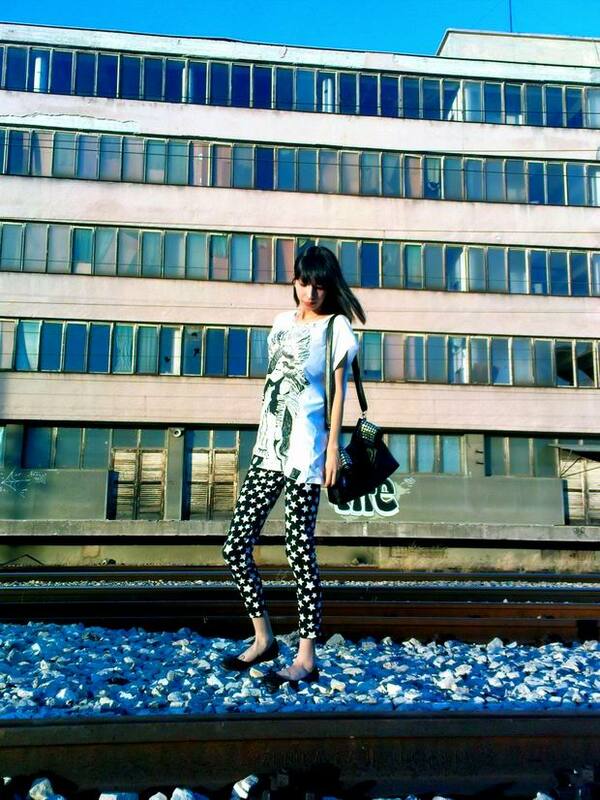 lovin the pants and printed top, you have awesome style hun! Hi hun, thanks so much for the comment on my blog! Of course Id love us to follow each other!